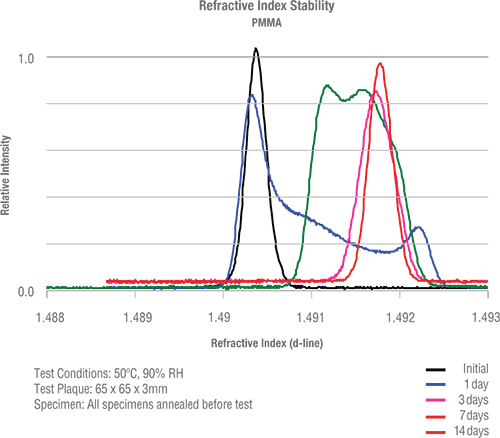 For over 20 years, the unsurpassed optical properties of ZEONEX® Cyclo Olefin Polymer (COP) have made it the premier optical polymer for glass replacement in precision imaging lenses. ZEONEX Cyclo Olefin Polymer (COP) is used worldwide for mobile device camera lenses, near-eye display and wearable optics, f-theta lenses, optical mirrors, and lenses for automotive heads-up displays (HUD) and driver assist cameras. A broad range of grades are available. TechConnect puts you in direct contact with a ZEON engineer who has the expertise in optical applications to answer technical questions and suggest which Cyclo Olefin Polymer (COP) grade will work best to meet your product needs. 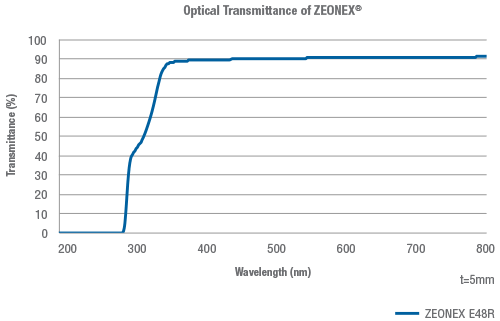 ZEONEX Cyclo Olefin Polymer (COP) optical polymers exhibit glass-like transparency from UVA through NIR wavelengths. With a refractive index of 1.53 and ABBE number of 56, ZEONEX Cyclo Olefin Polymer (COP) combines the optical characteristics of glass with the design freedom of a molded plastic. 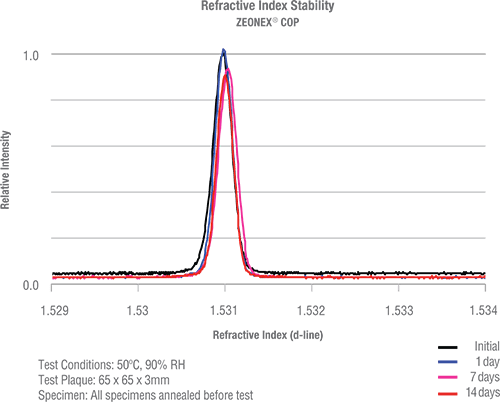 ZEONEX Cyclo Olefin Polymer (COP) achieves very low total birefringence by combining low intrinsic birefringence with an ultra-low photoelastic constant for excellent stress birefringence performance. Compared with other polymers, the higher molding temperature capability of Cyclo Olefin Polymer (COP) also promotes improved birefringence by allowing for reduced molecular orientation during molding. ZEONEX Cyclo Olefin Polymer (COP) has <0.01% water absorption – significantly less than polycarbonate (PC) and acrylic polymethyl methacrylate (PMMA). 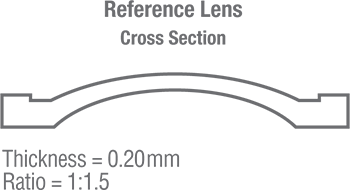 Lenses made with ZEONEX Cyclo Olefin Polymer (COP) are dimensionally stable, and show minimal change of optical properties following exposure to varying humidity environments. ZEONEX Cyclo Olefin Polymer (COP) optical grades are engineered to meet requirements of high-performance and specialty applications. 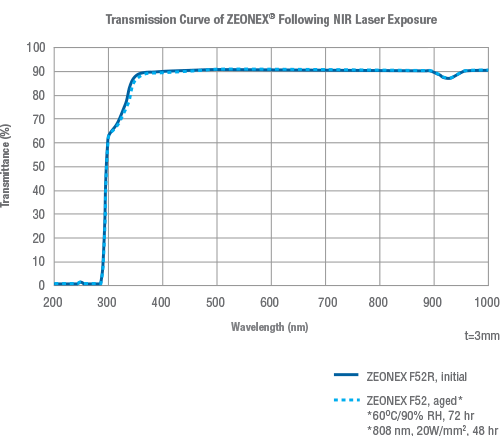 Certain grades of ZEONEX Cyclo Olefin Polymer (COP) offer good resistance to long-term exposure to blue light and NIR wavelengths, such as those found in blue laser optical pick-up systems and 3D position sensing. With mobile device camera pixel size steadily increasing, producing dimensionally accurate and defect-free microlenses is more important than ever. 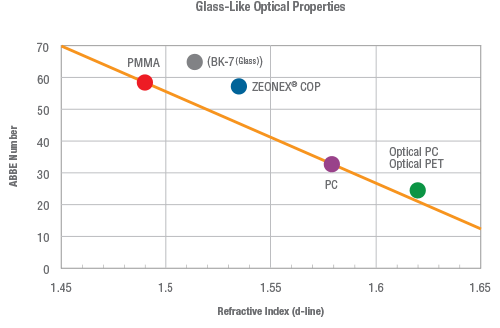 ZEONEX Cyclo Olefin Polymer (COP) exhibits extremely high molding transcription, which allows precise control of part dimension and flatness while maintaining ultra-low peak-to-valley (PV) ratios on the surfaces of lenses and prisms. 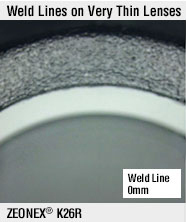 High-flow grades of ZEONEX Cyclo Olefin Polymer (COP) extend the ability of cyclo olefin polymer to be molded into very thin, high-curvature lenses with lowered risk of knit-line formation. 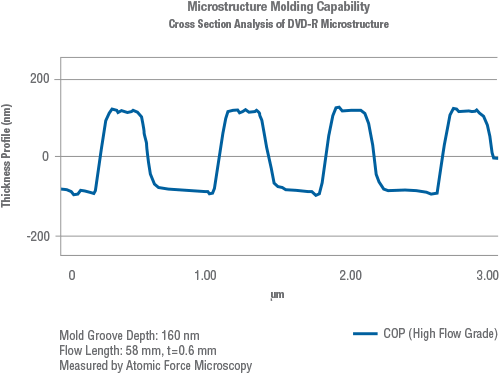 Nanoscale surface features and gradients are no match for the high-resolution molding capability of ZEONEX Cyclo Olefin Polymer (COP). For alternative language MSDS documents, please contact us.